My journey with Partners for Development (PfD) has allowed me to see the organization from the inside out; therefore, I wanted to reach out to you and share my story. I have been working in the relief and development field for over 25 years and had the privilege of working with PfD from 1994 to 2002. I served at their headquarters and in two countries (Somalia and Cambodia) and several years ago I was elected to the Board of Trustees. Though my role has changed, my dedication and resolve for PfD has not. I encourage you to get to know the organization better and I have no doubt that you will come to love and support the organization in the same ways that I have. My friends and colleagues often ask why I am so gung-ho about PfD. 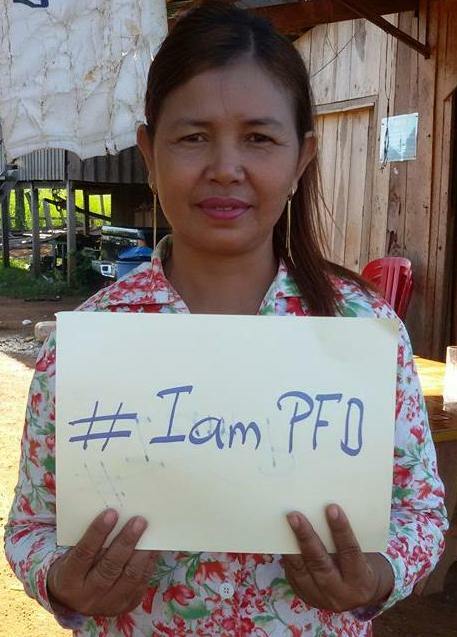 PfD’s tendency to work “off the tarmac” in oftentimes remote and unforgotten parts of the world sets them apart. 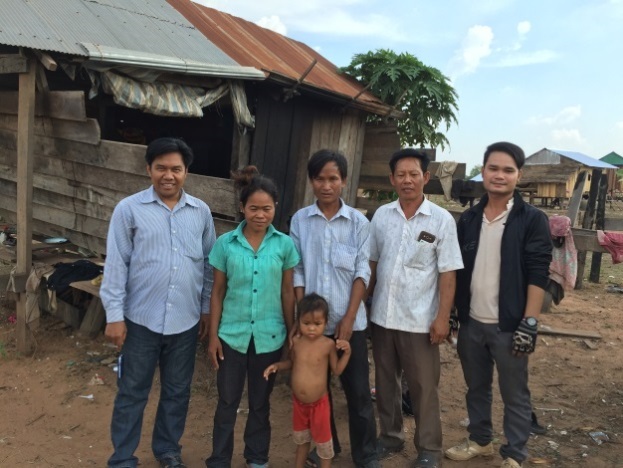 When I served as PfD’s Country Director in Cambodia, our community health and development activities focused on the distant, difficult to access provinces in the Northeast. Nearly all our staff and resources were dedicated to serving these provinces and PfD teams were primarily comprised of people from these provinces. 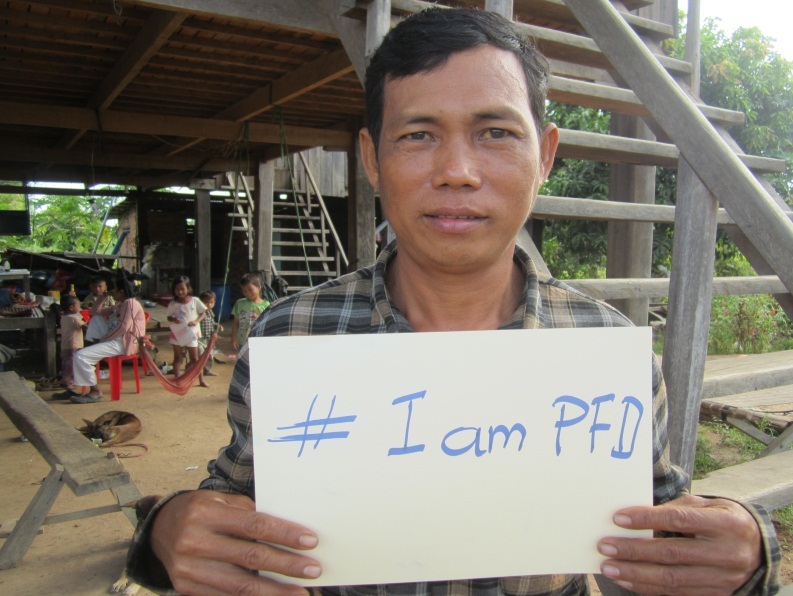 Many of the communities in which PfD worked were accessible only by long, arduous motorbike trips. 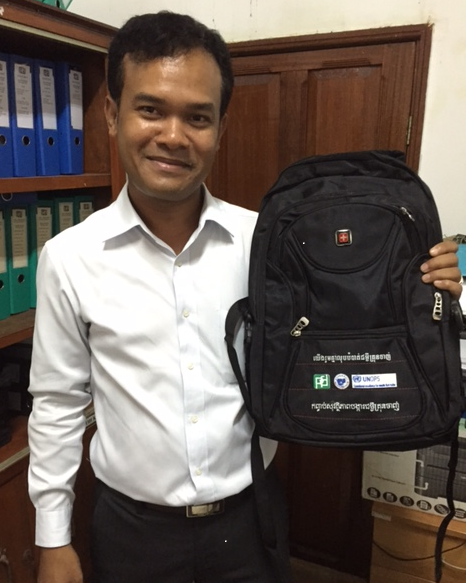 Fun fact: PfD was the first major distributor of mosquito nets in the region. PfD’s flat hierarchy and the small but dedicated headquarters staff make them nimble and extremely responsive to the field teams and the communities in which they work. Did you know that PfD’s Silver Spring office operates with a team of 6? I like the fact that a technical support officer in Nigeria can send an email to PfD’s Executive Director and expect a timely response from him. 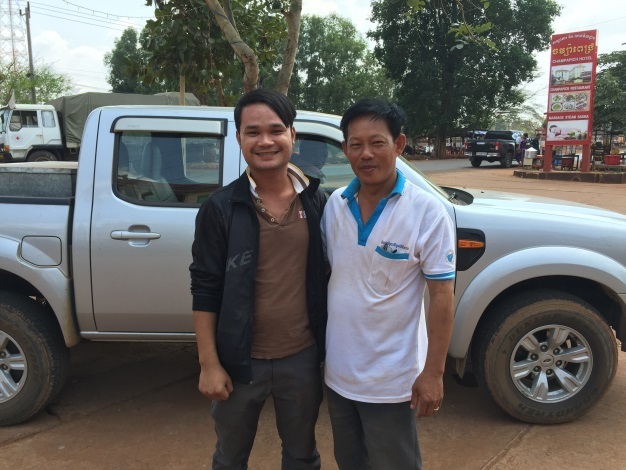 There is little to no bureaucracy and that is how I know my donation has the greatest impact. 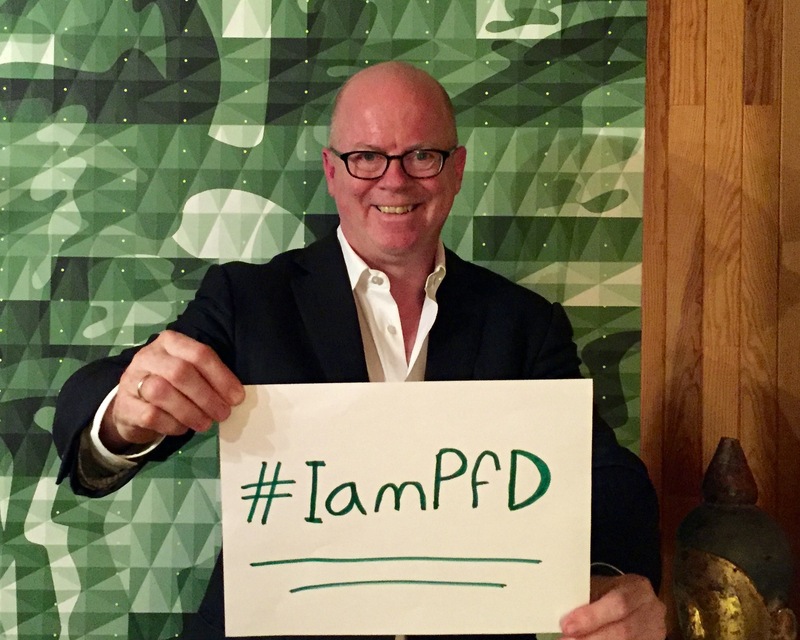 I am proud to be formally affiliated with PfD and urge you to learn more about how YOU can support us! PfD has worked to eradicate malaria (What Do You Know about Malaria?) 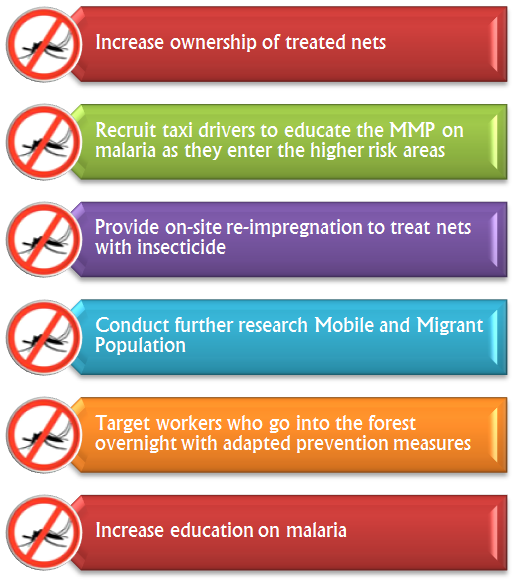 in Cambodia by targeting interventions and projects towards migrant and mobile populations (MMPs), who make up a large percentage of the populations infected with and transmitting drug-resistant malaria in the Greater Mekong Subregion (GMS region, which includes Cambodia, Laos, Myanmar, Thailand, Vietnam, and Yunnan Province of China). The migratory nature of these populations and subsequent lack of access to or desire for health services enable both the transmission of resistant malaria from already-infected environments to malaria-free environments and also the cultivation of environments that enable vector-breeding. The incidence of drug-resistant malaria has been identified in considerably higher percentages in certain border provinces of the GMS region, such as the Thailand-Cambodia border. Most of the recently emerging malaria along this border is from migrants, who most often develop drug-resistant malaria due to treatment failure. These migrants often travel unsheltered and become exposed to uninhibited transmission. But because they are often unregistered, their fear of deportation or arrest can deter them from seeking medical care from a public hospital (WHO Quarterly Newsletter 2010). Instead, infected individuals turn to less effective drugs from unofficial vendors, which don’t fully eradicate the parasites and rather leave them desensitized to more effective treatments (The development and spread of drug-resistant malaria, W.H. Wernsdorfer) . 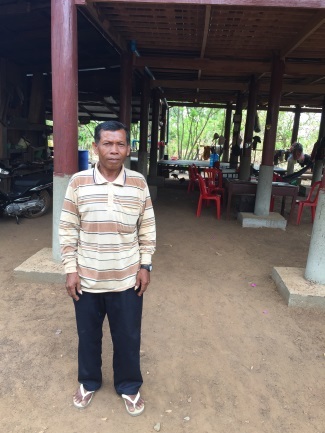 For other migrants, existing health facilities are rather inaccessible from their remote locations; in western Cambodia, specifically, a large proportion of malaria transmission is associated with migrant populations that visit forested areas, where they are missed by teams that conduct screening and treatment regimens. 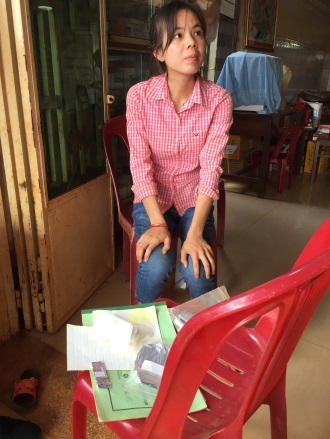 Even if some migrants do seek treatment, it is difficult for health workers to regulate them, since their mobile lifestyles often lead them to move onwards once they stop experiencing symptoms, even if their treatment is not complete. As a result, asymptomatic people, such as partially-immune migrants or individuals undergoing treatment, don’t seek medical help or discontinue treatment early, but continue to transmit the resistant parasite in the environments they enter (WHO) . 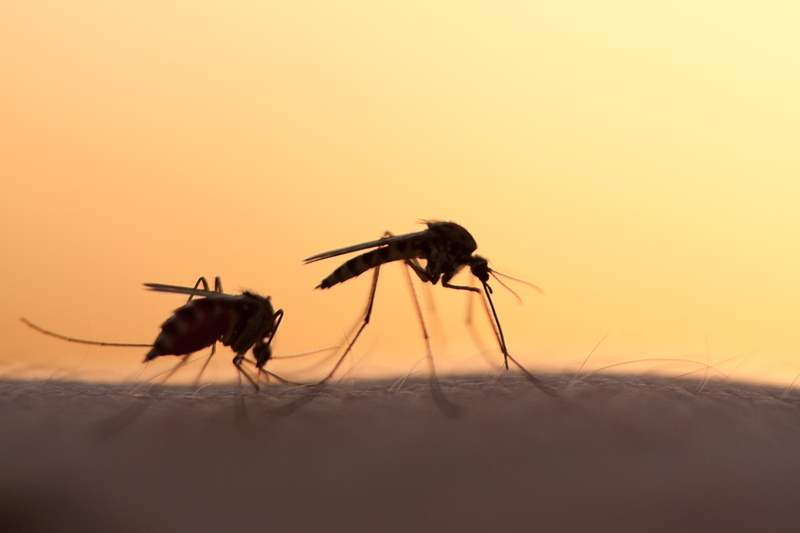 Why are MMPs more susceptible to drug-resistant malaria? Partially-immune or nonimmune populations moving from low-transmission areas to high-transmission areas are generally more susceptible to the disease than resident populations who are already accustomed to it. Subsequent migration from high-transmission regions back to low-transmission regions allows for the introduction or re-introduction of the drug-resistant disease to previously malaria-free environments (IOM Global Report) . 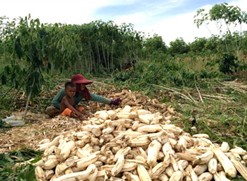 MMPs that have been displaced by conflict or natural disasters are particularly vulnerable to this kind of transmission, since they often move across larger regions or countries. 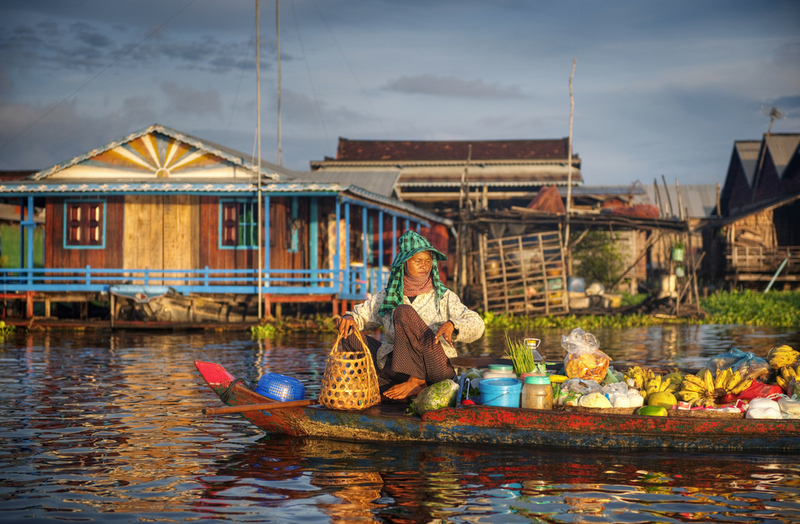 Growing economic disparities motivate the poor to migrate in search of jobs, perpetuating the negative effects of large-scale population increase and rapid urbanization. The likelihood of transmission increases as more people congregate in places with poor housing and shelter, a lack of proper sanitation or sewage systems, and unprotected water reservoirs that enable vector-breeding and increase the risk of human-vector contact (NIH). So while investments in road infrastructure and travel technology provide accessible routes for movement, they also expose communities to new environmental factors that can increase the transmission of drug-resistant malaria and the proliferation of vectors carrying the drug-resistant parasites (IOM Global Report). 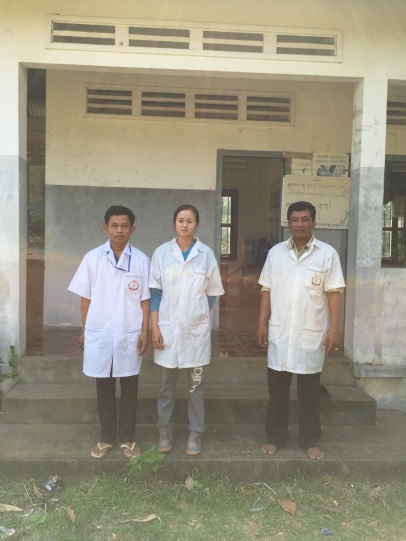 To address this problem of drug-resistant malaria in Cambodia, specifically, PfD conducted a survey among MMPs in Cambodia’s Kratie and Koh Kong provinces in order to better assess their needs related to the disease (see PfD’s blog post). 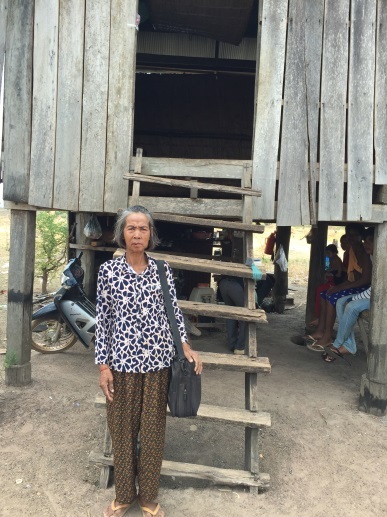 Based on the survey results, PfD is working to design more effective, targeted programs that can help reduce the high incidence of resistant malaria among these vulnerable mobile and migrant populations.